The District Council and its activities are regulated by the Law on State Administration (Official Gazette of the Republic of Serbia No. 79/2005, 101/2007, 95/2010 and 99/2014) and the Regulation on the manner of work of the Administrative District Council (“Official Gazette” RS “, No. 15/2006). Article 42 of the Law on State Administration stipulates that the Administrative District has an Administrative District Council, which coordinates the relations of district regional units of state administration bodies and municipalities and cities from the area of the administrative district, and makes proposals for improving the work of the administrative district, as well as, district and other regional units that administration bodies have in the area of the administrative district. 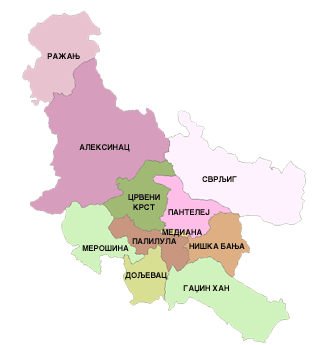 The Administrative District Council consists of the head of the administrative district, presidents of municipalities, and mayors of cities from the administrative district area. The head of the administrative district is obliged to forward all proposals of the Administrative District Council to the minister responsible for administrative affairs and the heads of state administration bodies which have regional units in the area of the administrative district. The manner of work of the Administrative District Council is determined by the Government with the regulation.